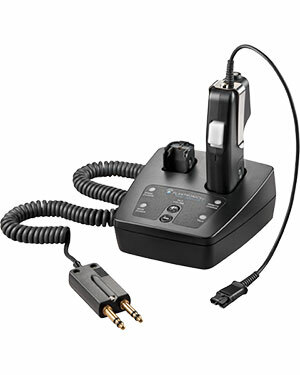 The CA12CD (also known as SHS 2505-01 DECT PTT Wireless Dispatcher system) is a cordless PTT (push-to-talk) headset adapter designed to provide encrypted communications and PTT functionality for applications such as Public Safety Despatch and Air Traffic Control. The CA12CD uses digital processing (DECT standard) and operates in the DECT (1.88 – 1.90 GHz) frequency range. 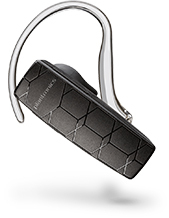 It features a Plantronics QD (Quick Disconnect) and is compatible with all Plantronics "H" or "HW" series headsets. 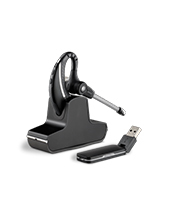 Features of SHS 2505-01 DECT PTT Wireless Dispatcher system. Digital (DECT™) technology operating in the 1.9GHz radio band provides superior voice clarity and security. Industry standard ergonomic design of PTT unit. Robust PTT switch with selectable locking/non-Locking operational modes. Range - is up to 150ft depending on the environment. Two charging wells; one for the remote unit while the other facilitates charging the extra battery pack (supplied with unit). Lithium-Ion battery packs provide longer talk time (approximately 8 hours) and faster recharge rates. 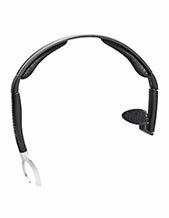 Quick Disconnect facilitates use with Plantronics H Series headset tops.